Fifty contemporary Canadian artists and sculptors selling original works in support of McMichael Volunteer Committee-funded projects. 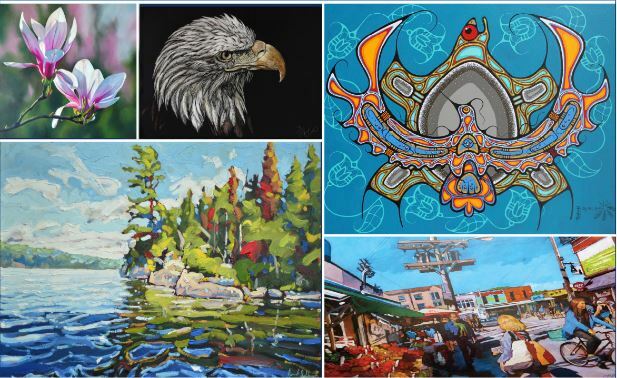 The annual McMichael Volunteer Committee’s signature fundraiser, the AUTUMN ART SALE, is recognized as one of the most prestigious events displaying original works from some of Canada’s most talented artists. There is no better setting than the gallery’s stunning Grand Hall, surrounded by 100 acres of beautiful conservation land, to showcase unique one-of-a-kind works. Over the course of three days, art will be on view and available for purchase from the 50 juried artists. The quality and variety of works on sale will please the taste and budget of seasoned art buyers as well as those beginning to build a collection. Artists work with Acrylic, Oil, Watercolour, Mixed Media, Pen&Ink, Sumi-e, Metal, Wood, Glass and Clay. This is your opportunity to invest in a beautiful piece of original Canadian art that will provide a lifetime of enjoyment. A percentage of all art purchases during the AUTUMN ART SALE, goes to the Committee for volunteer-funded projects to enhance the visitor experience and support special gallery initiatives and valuable children’s education programs. Over the years, the Volunteer Comiittee has contributed over $550,000 to a variety of important exhibitions and programs at the McMichael Canadian Art Collection.